If you have a business and need a substantial amount of room for tools or storage, the Express Van is hard to top. A choice of three powerful V8 engines, varied towing capabilities and optional all-wheel drive makes the Express Van perfect for business and family use. My dog van, my second home. It is extremely reliable, has not needed any service except for routine maintenance. It is very comfortable considering it is a cargo van, and gets good gas mileage. I have driven it across the country and back twice now, and have had no problems. The ac works great. Lots of room for two large dog crates, and my training gear. It feels very safe. True Chevy workhorse and best friend. The major problems that I have with my vehicle is that the windshield cracks very easily and the front hood paint peeled within the first year. Otherwise, mechanically it is a solid vehicle. The transmission has been replaced. The underlying fluid lines did rust and had to be replaced as well. Chevy Express vans are dependable. This van is my second Chevy van. The first one lasted twenty years. 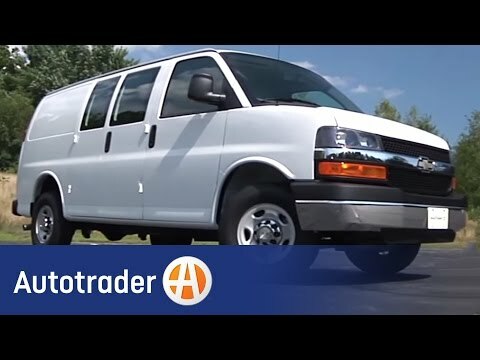 I have been driving my current van for eleven years and have had no issues. That's what I call reliable. SUNSET VANS IS WORKING WITH RICON TO CORRECT THE WHEELCHAIR LIFTS FREE OF CHARGE (PLEASE SEE 07E095). OWNERS MAY CONTACT RICON AT 1-818-267-3000 OR SUNSET VANS AT 1-888-280-8267.